Staff from San Diego Hunger Coalition, Feeding America San Diego, and San Diego Food Bank meeting with Rep. Susan Davis (CA). At the beginning of March, three members of the Hunger Coalition traveled to DC to attend the annual national anti-hunger conference nicknamed “FRAC” after one of its co-hosts, the Food Research and Action Council (Feeding America is the other). The conference consisted of two days of panels and speakers followed by a day on the Hill, in which people urge their representatives and senators to protect and strengthen anti-hunger programs. 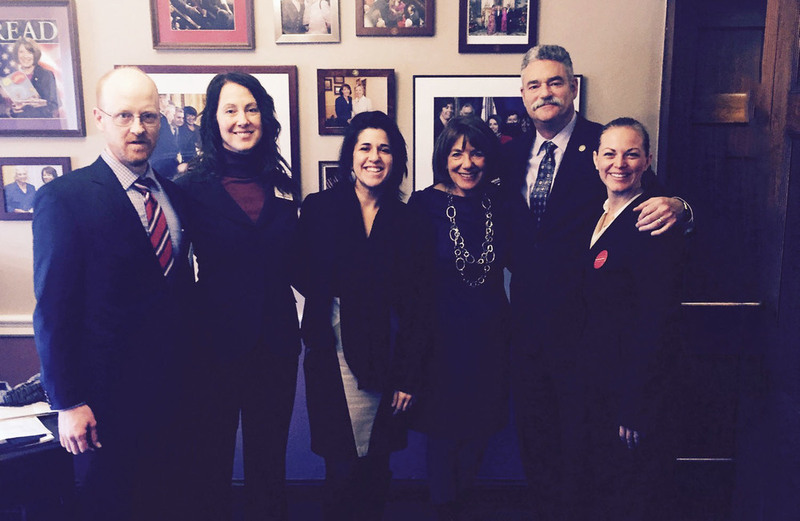 SDHC participated in legislative visits with all five of San Diego members of Congress as well as staff of both Senator Barbara Boxer and Senator Dianne Feinstein. A range of anti-hunger programs were discussed, but key focus was on Summer EBT for Children (SEBTC)—an option of the summer meals program that has demonstrated much higher participation than the traditional summer meals program.